Dr. Maddahi uses the 2D Echo Heart Scan to get a picture of your heart in action. 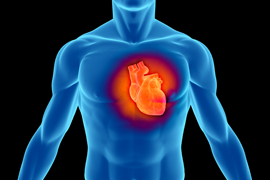 Using sound wave technology, he can see how your heart valves and chambers are operating, providing you with excellent, non-invasive cardiology technology in Los Angeles. The size and thickness of the walls of your heart will also be checked as well as the pericardium (the sac that surrounds the heart). By using Doppler sound waves, Dr. Maddahi will also view the direction and velocity of blood and check the major blood vessels that exit the heart. Providing patients with a 2D Echo Heart Scan is just one more example of how Dr. Maddahi works to provide you with the best cardiology in Los Angeles and the least amount of discomfort. By having the best equipment available, and by using non-invasive procedures, there is no reason to put off getting your heart tested. We provide the care and skill to bring your vision of health into reality.